The brand new 2015 Worx rims line are in the building! New additions: Worx Ledge 807BM, Beast II 808BM and 808SB. 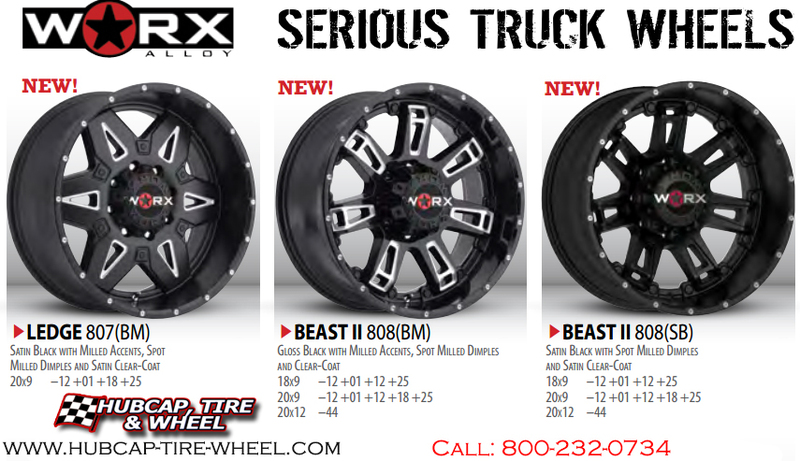 Worx is a wheel line dedicated for trucks. With a lot of bolt patterns and offset to choose from you can find a wheel for almost any type of application. Dually trucks, you are included too! 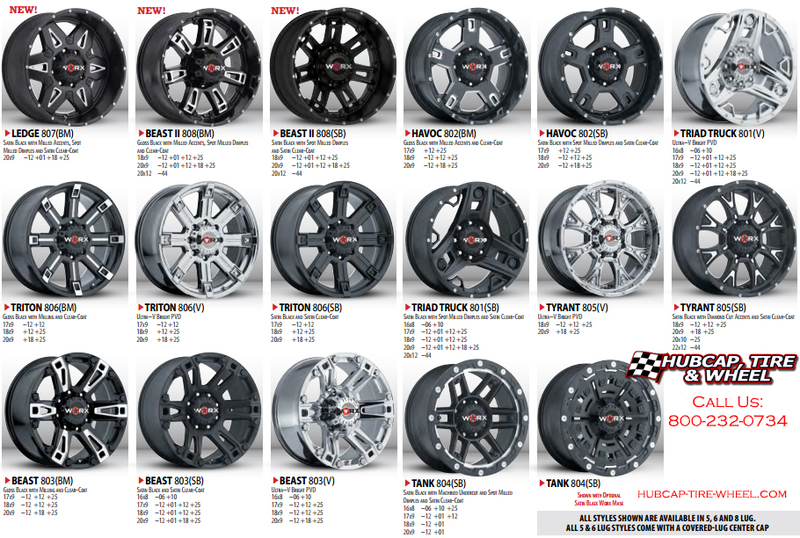 Worx Alloy rims have dually truck rims included in their line. There are many different types of finishes from satin black, machined and black, chrome and bright PVD. We do not sell center caps directly. Sorry about that.